Many of you might already know how much I love to eat pasta. I can eat it each day of the week and not tire of it. Were I to be asked what my last meal would be, pasta would most certainly be in the equation. So when the good people of Cooks & Books & Recipes gave me the opportunity to have a first look at Domenica Marchetti’s The Glorious Pasta of Italy, I was very excited indeed. 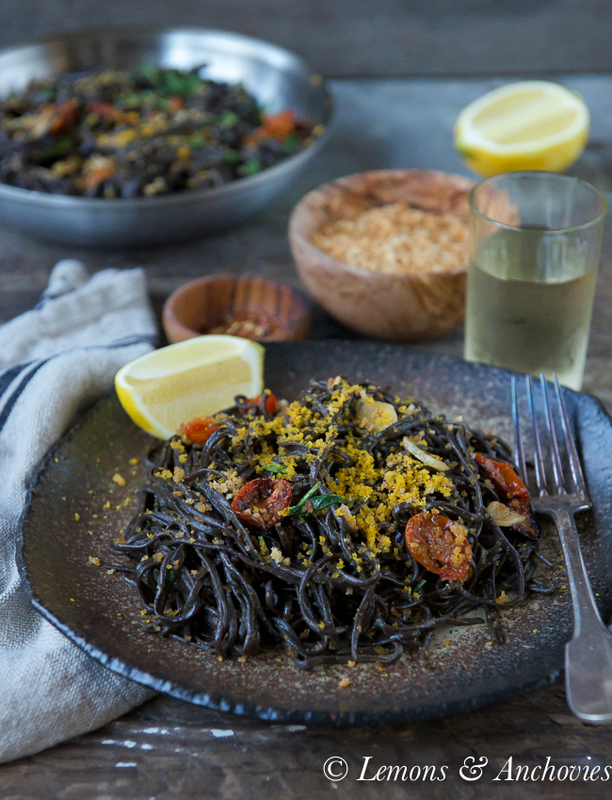 Though there was no shortage of enticing pasta dishes to choose for my review, ultimately I selected a recipe that I feel represents well much of the dishes I share here: simple, unfussy, satisfying. 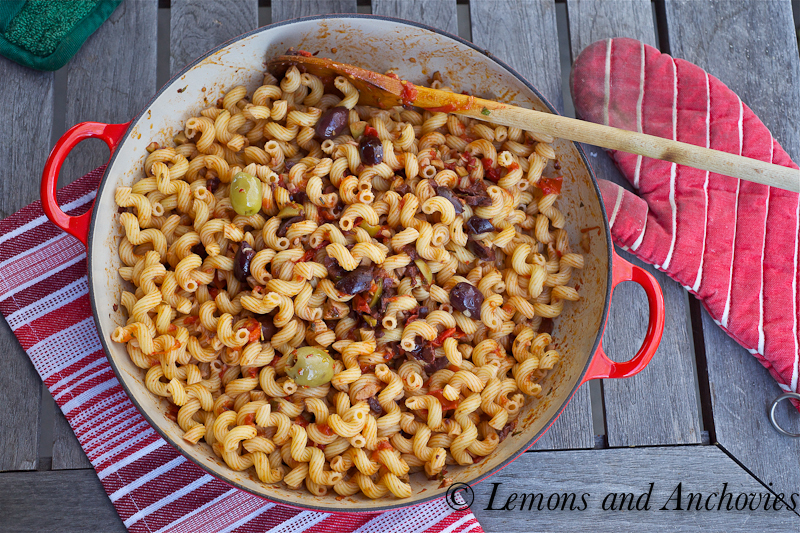 Please click here for my guest review at Cooks & Books and Recipes and also to see the recipe for the dish I’ve prepared from Ms. Marchetti’s book, Gemelli with Fresh Herbs and Chopped Olives. It is a winner! Gorgeous photos, Jean! And after out trip to Italy I think this needs to go on my Christmas list…. stat!! 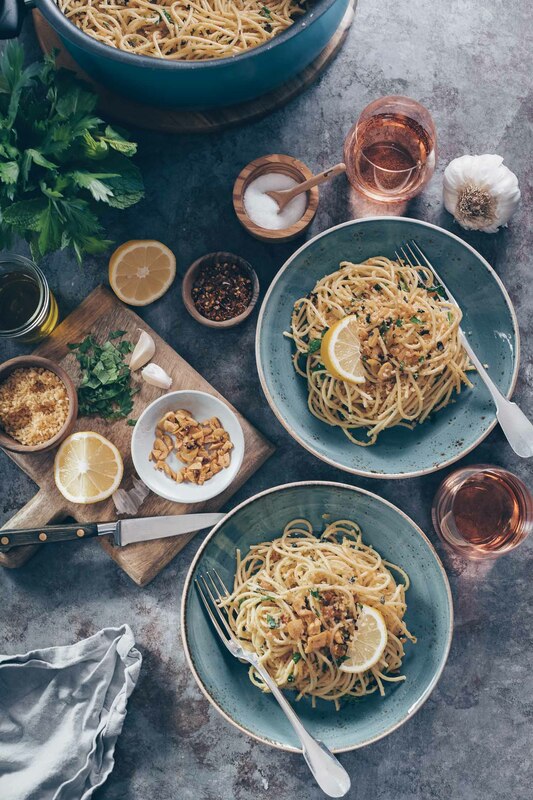 This does look like a fabulous pasta recipe and your pictures are beautiful! 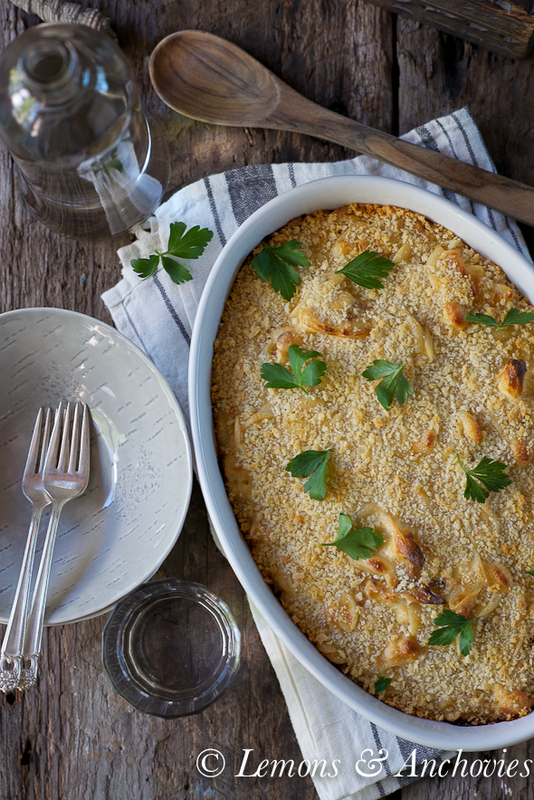 Beautiful – serving it in that Creuset dish adds the perfect rustic, bucolic quality that enhances the experience of a dish like this. You can never have too many olive in a pasta dish in my opinion! I alllllmost bought that book the other day! I definitely need to go buy this book ASAP. the photos are to die for! What a lovely plate of pasta! This sounds like a great book and the recipe with olives would be my pick too! Love olives with a passion! 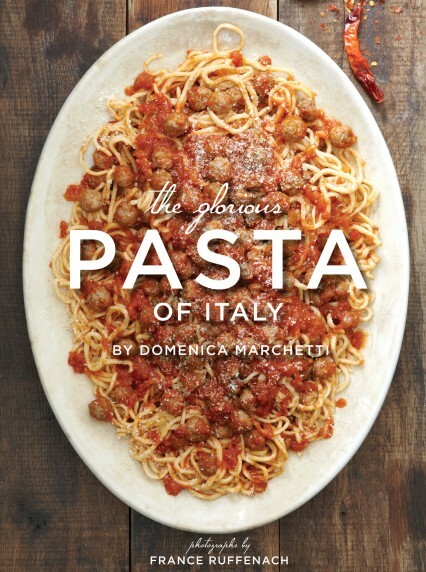 Jean: I just did a review on Domenica’s “Rustic Italian” cookbook too…love that book. I’ll definitely check this one out also. 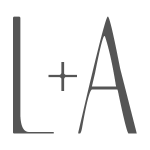 I love Italian cooking…we should cook through one of her books together and ask other bloggers if they’d like to join in – kinda like some are doing with Dorie’s books? Let me know..maybe we can put something together for next year and cook/bake our way through Italy? Your plate of pasta has made me very hungry at 7:30 in the morning! Aww I got the book and love it. 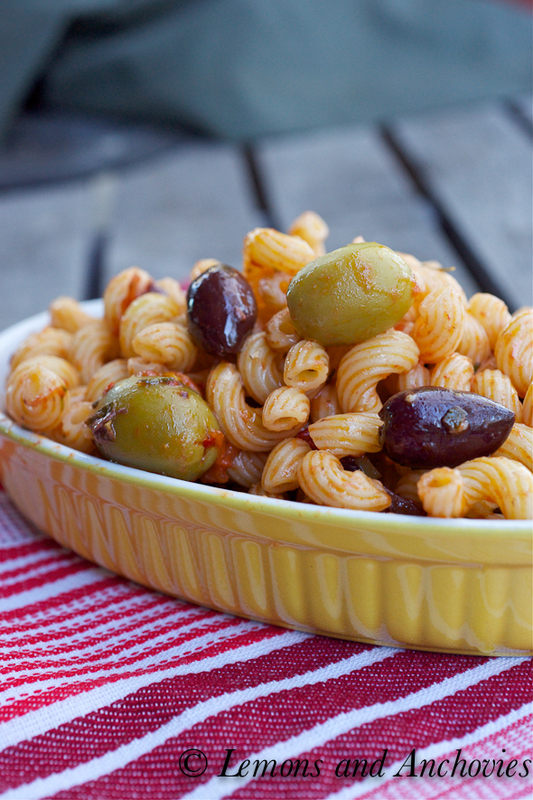 Great pasta dish with olives that you picked. Wanted to mainly drop by and wish you a Happy Holiday season Jean! How gorgeous! 🙂 I love simple dishes like this, and olives are the best ever thing in pasta!